There are many things to consider when choosing a stove for your home, so before you make your purchase, we recommend that you seek advice from your local Stovax and Gazco retailer who will be able to guide you in the right direction. 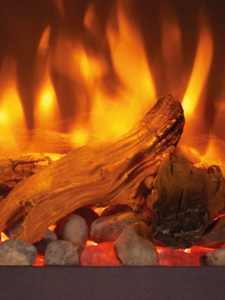 Whether you want to burn solid fuels such as logs, smokeless fuels or peat/turf briquettes, or have the ‘switch on’ convenience of gas or electricity, Stovax and Gazco offer a wide range of expertly crafted designs from contemporary to traditional, giving you the flexibility required for modern day living. Prior to the installation of your stove, a site survey needs to be completed by a suitably qualified engineer (HETAS registered installer). Homeowners looking for a stove to heat up a particular area of the house should measure the proposed room first in order to find out the the size of the stove required. As a guide, we suggest that for every 14 cubic metres of space, you will need 1kW (approximately) of heat output in order to a achieve a room temperature of 21 degrees. Stovax also has a wide selection of contemporary and traditional boiler stoves for those homeowners looking to supply their own domestic hot water and central heating. Depending on the requirements of you and your home, Stovax and Gazco have an extensive range of stoves suitable for you. 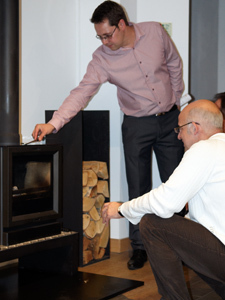 By visiting your local retailer, you can discuss the potential benefits and limitations that a stove can offer. Once you have considered the role of the stove in your home, you may want to consider the style of your appliance to suit the interior decor of your house. Whether you live in a modern city apartment or a traditional country cottage, Stovax and Gazco have a range of stoves to suit the outlook and the location of your home. 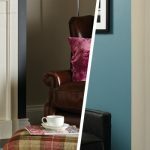 Most Stovax and Gazco stoves can also be selected in a variety of colour options to suit your home and this website will provide you with the various colour options available on each product page. Many stoves from Stovax and Gazco are made from either cast iron or steel materials. The malleability of cast iron allows it to be moulded into a variety of designs to create a wealth of intricate and and elegant details. Famed for its beautiful tracery doors, the Huntingdon stove range is made from cast iron and will make a perfect complement for homes with a more traditional look. The heat-diffusing properties of cast iron allow the warmth generated to be radiated slowly into the room for more comfortable and even temperature. Find out more about cast iron stoves. Steel stoves appeal to many contemporary homes due to its clean and smooth lines. 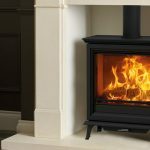 Both the popular Stockton and View stove range are made from high quality 5mm heavy duty steel body which emit heat quickly. Many stoves from Stovax and Gazco will often combine both steel and cast iron components to offer both superb performance and value for money. Our eye-catching Riva Studio wood burning stove range will also appeal to a variety of homeowners. Their enticing widescreen flame visuals complemented by an extensive array of frames and styling options will create a striking feature in both contemporary and traditional looking homes. To view a range of stoves in various styles, visit your local retailer. 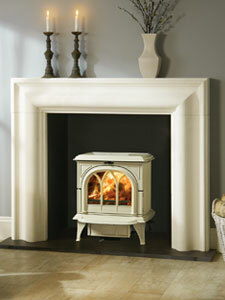 Stovax and Gazco offer a wide choice of traditional and contemporary wood burning, multi-fuel, gas and electric stoves. 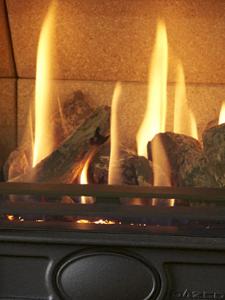 Homeowners choose their fuel type for many reasons – some may choose a wood burner due to its carbon neutral benefits whilst other prefer the ease and convenience of a gas or an electric stove. Each fuel type below will be explained in more detail below. With modern technology available, homeowners are no longer limited to certain stove models for their homes. Today, houses without a chimney can also benefit from the Stovax and Gazco range. 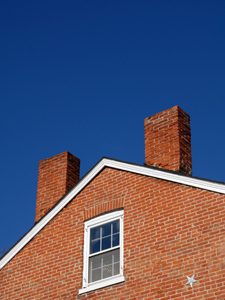 Find out more about the type of chimney or flue you have in your home. To view a range of stoves in a variety of fuel types, please visit your local retailer. 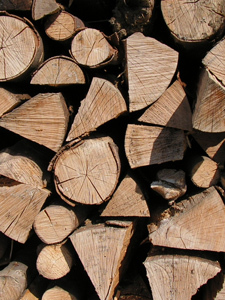 We also have a dedicated page on the differences between a wood burning or multi-fuel stove. Stovax offers a wide choice of traditional and contemporary wood burning and multi-fuel stove models to suit most rooms and homes, including those with special integral boilers to run radiators or provide domestic hot water. Each product page will provide you with detailed information about each wood burning and multi-fuel stoves or you can use our Product Finder to quickly refine your search for the right product. Today, innovative designs such as Stovax Professional XQ™ will allow homeowners without a chimney to include a solid fuel appliance in their properties. This twin-wall pipe system can be installed in variety of properties therefore rooms such as conservatories or family rooms can now benefit from the ambience and focal point created by either a wood burning or multi-fuel stove. Many Stovax stove designs are approved by DEFRA for use in Smoke Control Areas. As technology has progressed, manufacturers have created numerous models suitable for these specific requirements. Manufacturer requirements will change again in 2022, and new Ecodesign regulations will mean newly manufactured stoves will have to meet stringent new emission standards. Stovax is proud to offer the largest range of Ecodesign stoves and fires in the UK and Ireland. By visiting your local expert retailer, you can view our selection of wood burning and multi-fuel stoves and find out which is right for your home and location. If a solid fuel stove isn’t suitable for your home or your needs, many gas stoves can provide an aesthetically pleasing alternative or be your preferred method of fuel for a stove. Featuring the same or very similar styling, many Gazco gas stoves are based on their solid fuel equivalents. Gas stoves offer a combination of convenience and ambient warmth from a switch of a button. Developed by innovative engineers within state-of-the-art research and development labs, gas stoves from Gazco have highly realistic fire effects with either log or coal fuel beds. The convenience a switch allows you to experience the warmth and the beautiful dancing flames instantly. View our selection of stunning gas stoves, by visiting your local retailer. The versatility of an electric stove means that you can install easily and use instantly. The electric stoves from Gazco are highly efficient and come in a variety of designs from traditional to modern to suit all pockets and locations – without the need of a chimney! Based on their solid fuel equivalents, you can enjoy the aesthetics of the stoves with the convenience of a switch. 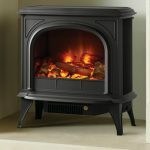 These electric stoves incorporate Gazco’s unique VeriFlame™ technology, which produces realistic fire effects. The heater and VeriFlame™ technology controls for each stove are discreetly located under the stove and can be operated using the supplied remote. The Gazco Vogue Midi uses advanced Chromalight LED lighting technology to create a myriad of visuals and mood lighting. Find your local retailer, to view our range of electric stoves. We strongly recommend that you consult with an independent retailer before you make a purchase. They will provide adequate and professional advice. You can buy our range of appliances from our wide range of experienced UK and Republic of Ireland retailers. Our find a retailer locator can be found throughout the website. By typing your nearest town or postcode, you will be able to find your closest retailer. Our 30 years of experience in the heating industry have allowed us to create strong relationships with a wide range of independent retailers and therefore you will only find our Stovax and Gazco products from these experienced retailers. They will also be able to show you a selection of appliances locally in their showroom – often fully operational – so you can see what your chosen stove looks like when burning.